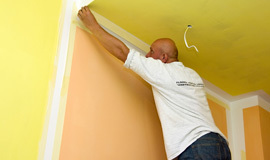 At ARC, we have primarily talked about our residential services. You know the little home projects that seem to pile up—things like painting, light electrical work, repairs around the home, or even adding shelves to the laundry room. 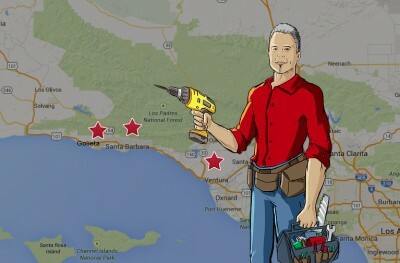 We take great pride in offering superior handyman services to our neighbors in Santa Barbara and the surrounding areas. It has always been the goal of American Residential and Commercial Services to provide the absolute best residential services available. But many times the commercial portion of our business is overshadowed by the busy residential handyman services we offer. That being said we would like to shine a new light on the commercial handyman services that we offer. Owning a business is tough, we should know, but there is nothing quite as rewarding as providing a service for someone that truly appreciates it. There are hundreds of small business owners in Santa Barbara alone and each of them provide a unique service. That could be the finest computer repair in Summerland, or an indie record store in Ventura, whatever your passion, you probably have a space to conduct business. A storefront is a necessity for most businesses and nothing can top the day you first hang out that shingle. But over time, as it happens with most things, a few maintenance issues may arise, this is where ARC is ready and willing to help you get your store or shop back in shape. We know you don’t have time to do things like paint window sills or mount a set of shelves in the back room, let us do it for you! Apartments are a very important part of our community, not only do they provide homes for hundreds of people, they offer an alternative to living in a home. Many who choose to live in an apartment do so because the maintenance and upkeep on a home can be daunting and they simply do not want to deal with it. As an apartment manager, you may have a dedicated maintenance team that is responsible for day to day upkeep of the property. Anyone who has ever worked in the apartment industry knows that when it rains it pours and maintenance issues seem to pile up. When this type of situation occurs, the ideal course of action is to contact ARC for help. 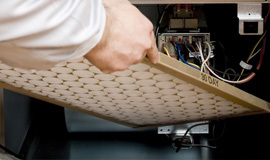 With our years of experience we can handle just about any maintenance issue in your apartment complex. If you invest in property, chances are it is for the purpose of making a profit and not because you enjoy maintaining multiple homes. When renters move out, there can be a bunch of work that needs to be done in order to have the home ready for new tenants. That is probably the last thing you want to do but things like, painting the walls, repairing a stuck window, and fixing that leaky faucet, are all necessary to find good renters. Of course you don’t have time to go through the house and repair all that needs to be fixed. That is where ARC can be so valuable to your rental property. Regardless of how good your tenants are there are issues that inevitably arise and when those issues present themselves, count on ARC for your handyman services. So, no matter what type of business you own, whether it is a local storefront, an apartment building, or even a restaurant, you will eventually need handyman services. American Residential and Commercial Services would like to be your local handyman partner. 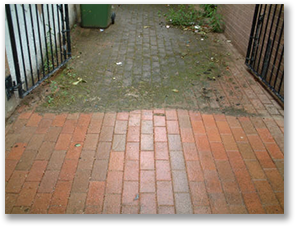 Of course, if you don’t happen to own a business but need some work done around your home, we are always here when you need us. We are committed to giving back to the community and in the spirit of giving back we offer our “Handyman For a Day” sweepstakes. Which is designed to help those who may not be able to afford a handyman to fix those annoying little items in their home. Of course, everyone is eligible to enter the drawing and we encourage you to refer your friends and neighbors to check out this unique program. So, next time you find a need for handyman services, please give the professionals at ARC Services a call, we look forward to hearing from you and thank you for your business.